WHEN: every Saturday night through the end of 2018; 9:00 PM until Midnight. WHERE: Pascal & Sabine Restaurant, 601 Bangs Avenue, Asbury Park, NJ. Dr. Keith Calmes has been performing solo guitar music professionally since 1984. A graduate of The Juilliard School and University of Southern California School of Music, Keith has performed at venues such as Carnegie Recital Hall. 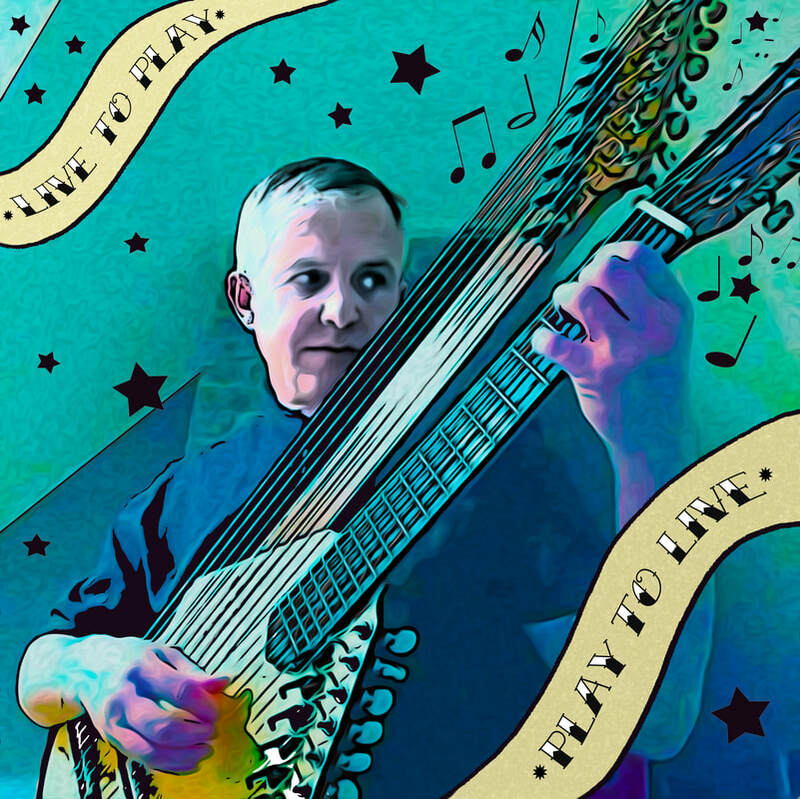 Called a "master musician" by Guitar for the Practicing Musician Magazine, Keith Calmes earned degrees in Classical Guitar Performance from the University of Southern California, California State University Northridge and The Juilliard School. As winner of the Artists International competition, Keith gave his Carnegie Recital Hall debut in 1992. Mel Bay Publications has published several of his books, including Guitar Music of the 16th Century and Gospel Favorites for Classical Guitar. During the last few years, Keith's performances have included lecture-recitals at the national conventions of the American String Teachers Association and the Guitar Foundation of America, concerts of the complete solo guitar works of Heitor Villa-Lobos, concertos with Monmouth Symphony, and the premieres of many solo works. Keith actively records, both as a soloist and with prominent Dutch composer Chiel Meijering. Recently presented with an Outstanding Educator award from The College of New Jersey, Keith teaches guitar at Wall High School in New Jersey.